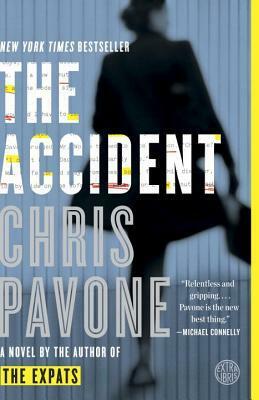 The Accident by Chris Pavone is a book about a book. Publisher Isabel Reed receives an anonymous manuscript called The Accident that is full of secrets and sends everyone into a tizzy. There is a CIA agent that is determined to bury the story and the author himself is hiding in Zurich watching everything unfold. The entire plot occurs over ONE SINGLE DAY. For me, this book was verrrrrrry slow (and you know when I use extra letters in something, I really mean it!). I didn’t get sucked in right away like I thought I would and that really disappointed me. The characters were very intriguing but I couldn’t connect with them, and with the CIA/spy/thriller plot I thought it’d be a 5 star review from me, but it just let me down. I didn’t realize how much killing there would be or how often it would happen, and even though it felt slow to read it was gogogogo the entire time. It felt very chaotic to me. I think that if I was older, around the same age as the characters (40s) then I would have liked it a lot more because this is the type of book I’m drawn to, but I just didn’t. I gave it 3 out of 5 stars on Goodreads and I don’t really recommend it to anyone, except maybe my mother in law who is around the same age and might find it interesting. Full disclosure: I received this book from the Blogging for Books program in exchange for an honest review.